They add just the right amount of spice to just about anything. So what do I do when I find something I love? Figure out how to make it a million different ways of course. 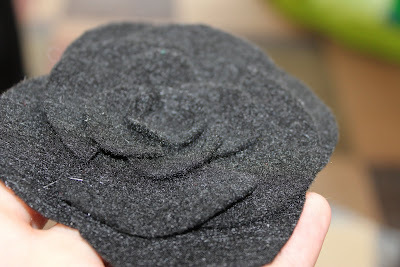 I've been experimenting with a few different felt flowers creations. Today I'm sharing my second felt flower tutorial. 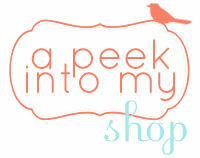 (Go here to see the first one). after the friend I made it for. 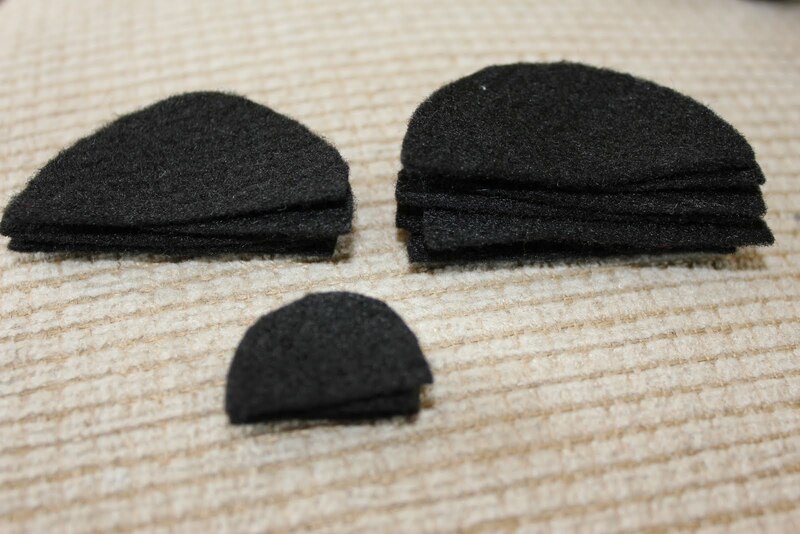 Cut out 3 circles to use as your template. One large, one medium and one small. 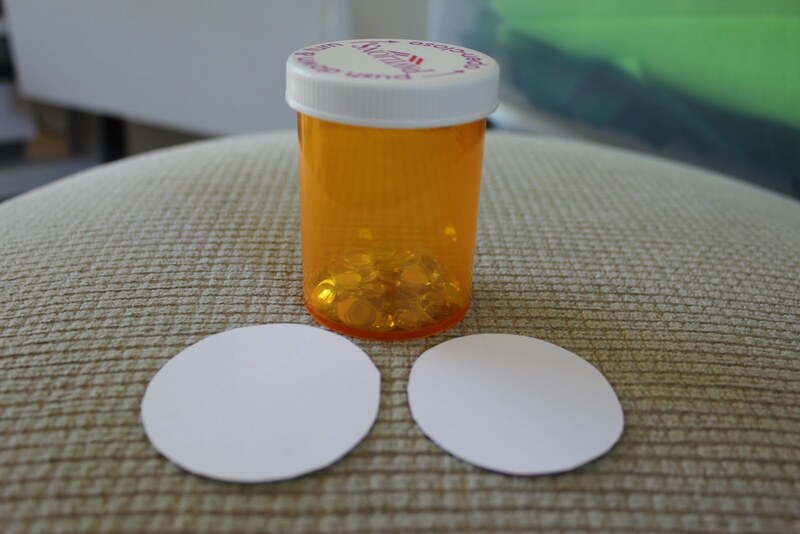 I traced the lid to this medicine bottle for my large circle and the bottom of the bottle for my medium circle then I hand drew the smallest circle. 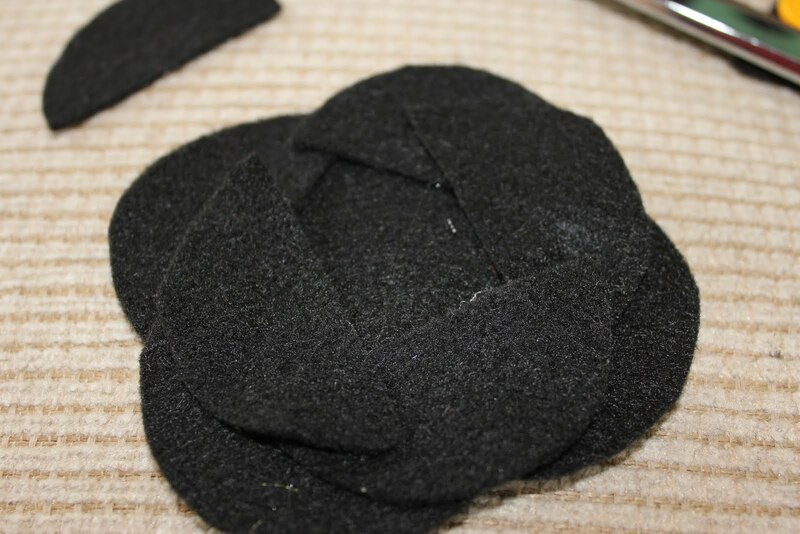 Then cut each of your felt circles in half. 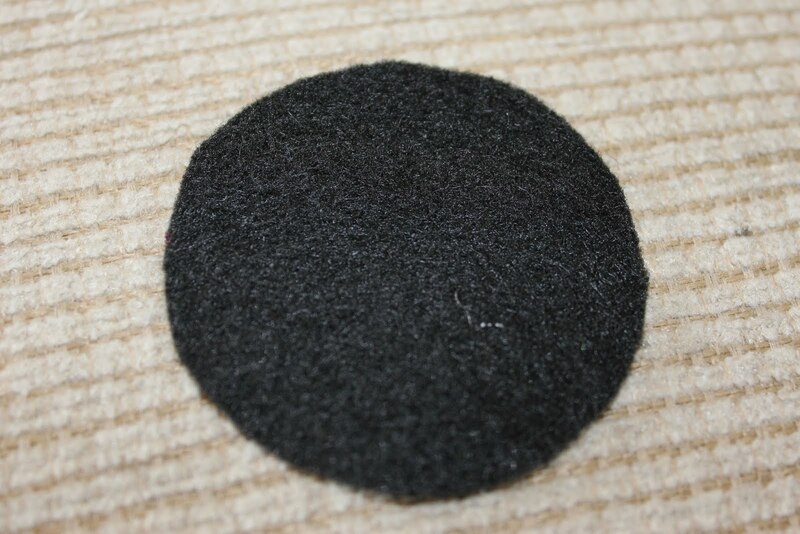 Next cut out one more large felt circle. 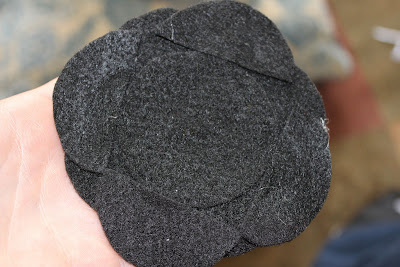 This will be the base to your flower. Hot glue 4 of your large half circle pieces to your base circle in the pattern shown above. Please note the edges of the half circles will overlap. Grab the medium sized half circles and hot glue the next 4 pieces in the pattern shown above. Hot glue the 4 small half circles in a circular shape. They will have to overlap quite a bit. 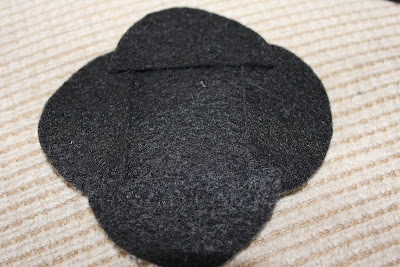 Turn over the flower and add the final 4 large half circle pieces to make your flower a little larger and more rounded. Man, I just realized this is a really confusing and hard to explain tutorial. They flowers are really easy to make. I promise! 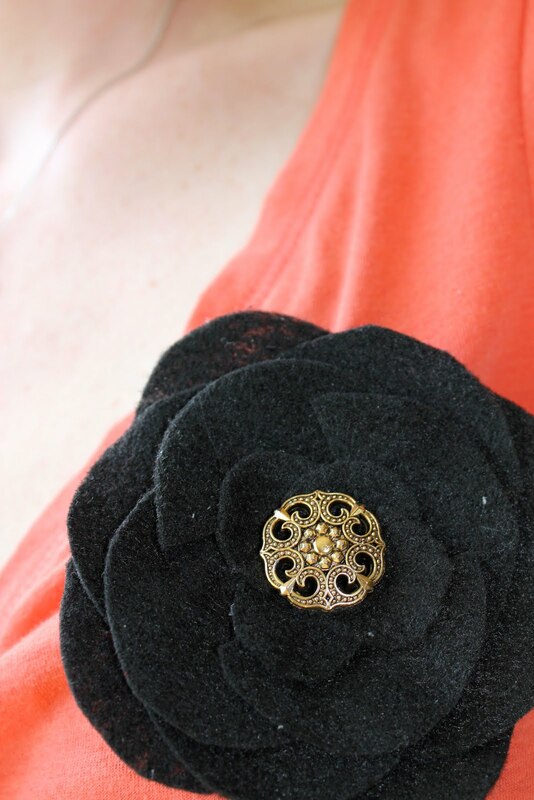 and a pin back (is that what those are called? 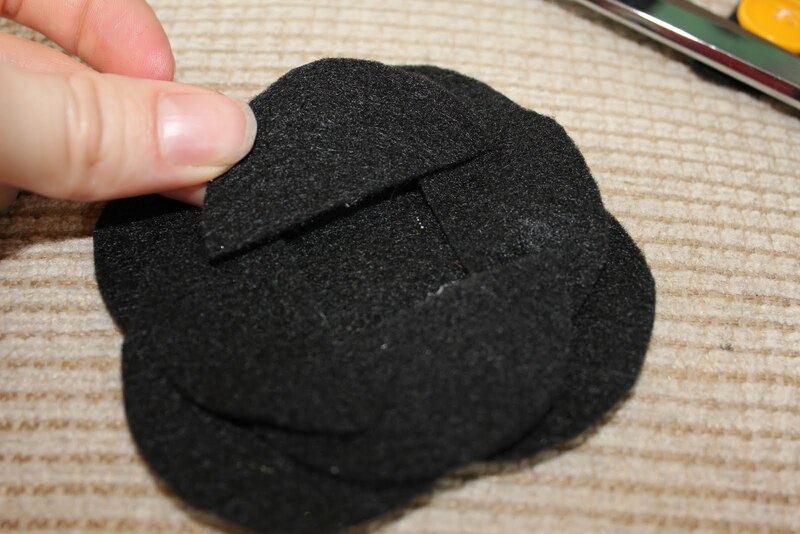 My mind is NOT working this morning) to turn it into a brooch. 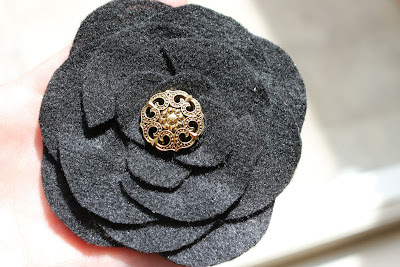 You could also glue your flower onto a pinch clip or headband for a hair accessory. and your ready to go! 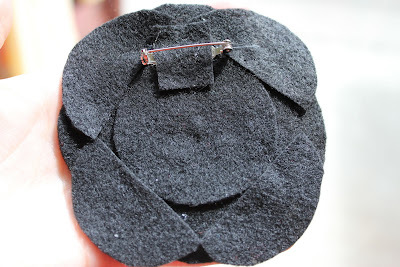 Thanks for the tutorial, the flower is very nice, i cant wait to do it later.